It’s been over 10 since the last blur album. Think about that for a moment. Ten years is a long time. I never thought the band would return from the land of dead bands–but they have. 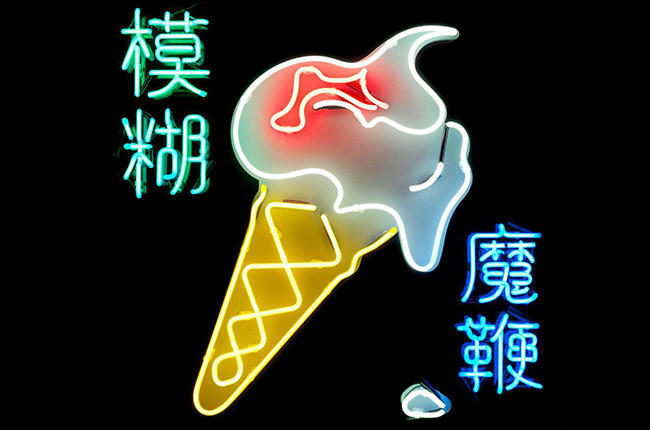 Apparently Blur recorded a whole album in Hong Kong of all places, out of sheer boredom! Titled THE MAGIC WHIP, this miraculous album comes out at the end of April. The first single, “Go Out” has been released…and it’s pretty damn good! “Go Out” is a fairly typical brit-pop rocker with laid on a bed of weird, distorted guitar noise. The band has also released a strange, asian cooking show-themed music video for the song. Weird? You bet. Quintessentially Blur? Of course. Check it out, and try to remember, it’s not 1995. 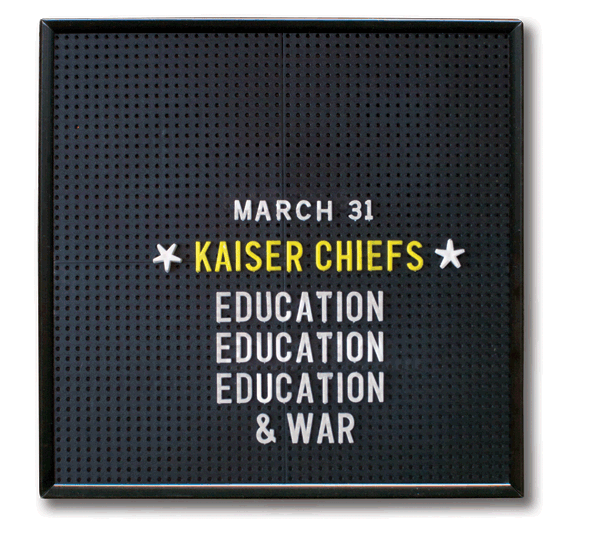 Brit-rockers The Kaiser Chiefs have released a brand new song off their upcoming album EDUCATION, EDUCATION, EDUCATION & WAR. The album, which will be the bands fifth, marks the first since drummer/lead-songwriter Nick Hodgson quit the band in 2012. The new song, titled “Misery Company,” is pretty good and raises hopes that the band will pull themselves out of their death-spiral-of-mediocrity. I loved the first two Kaiser Chief albums and had high hopes for the boys from Leeds. The band combined the best parts of 90’s Brit-pop with punk and a danceable beat. But public and critical reaction to the band’s second album YOURS TRULY, ANGRY MOB was the beginning of a decline for the band. Their third album, OFF WITH THEIR HEADS was the last one I sought out and listened to. I haven’t been able to get the courage up to listen to their fourth album, THE FUTURE IS MEDIEVAL. The law of diminishing returns now haunts the band. “Misery Company” is pretty good. It has the hallmarks of classic Kaiser Chiefs with it’s chugging beat and droning guitars. The keyboards and maniacal laughing are nice touches, too. I do wish the song had more memorable/catchy lyrics and was a little more aggressive. The song’s good, but feels more like a second or third string single. Had the band been on a tremendous roll, I’d say they were just holding back the good stuff–but at this point I think “Misery Company” probably is the good stuff. I guess it’s true what they once said: Everything is average nowadays. EDUCATION, EDUCATION, EDUCATION & WAR comes out on March 31, 2014.